On the 18th August, the UK Government published the ‘Childhood Obesity Plan’, its strategy to ‘significantly reduce England’s rate of childhood obesity within the next ten years’, which outlines the necessary changes the food and beverage industry must make. Within the plan, the UK government has told Bakers and breakfast cereal manufacturers to cut the amount of sugar in their products by 20% over the next four years. With this being said, the Food and Drink Federation (FDF) have urged bakers that they need to fully understand the function of sugar in their products before attempting to reduce the sugar content. They have published ‘Reformulation Guide Spotlight on Sugars’ to help food manufacturers identify the challenges and opportunities that may occur when reducing sugar in baked goods, soft drinks and dairy based products. The guide also states that it is vital that when bakers begin looking into reducing sugar in the products that they not only look at the sugar in the base products, but also within fillings such as icing and chocolate coatings. 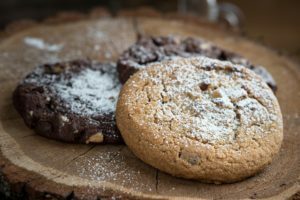 To ensure that food manufacturers follow through, the PHE (Public Health England) will be making assessment in September 2018 and March 2020 to measure progress, and to make a decision about whether or not alternative levers needs to be used to reduce sugar in food and drink consumed by children in the UK. Are you facing challenges when it comes to reducing sugar content in your products? Tweet us at @ZeppelinUK.